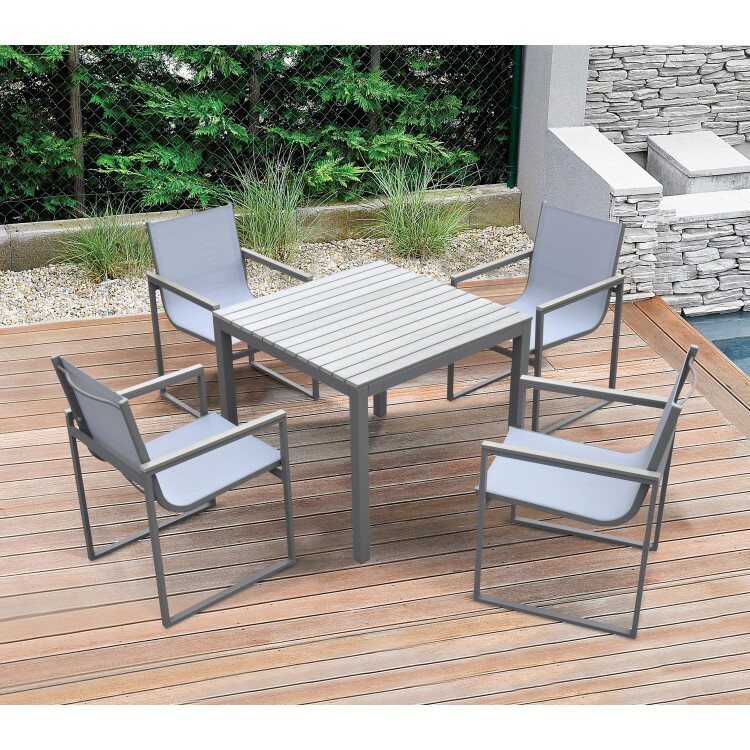 The Armen Living Bistro outdoor patio dining table is a beautiful piece, certain to enhance the atmosphere of any contemporary patio space. 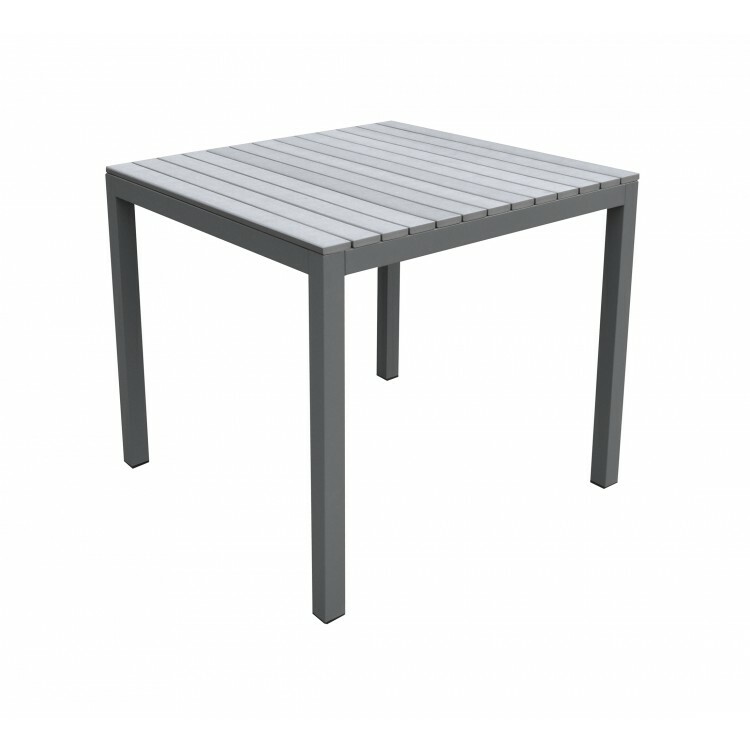 This modern outdoor table features a durable grey powder coat finished aluminum frame. 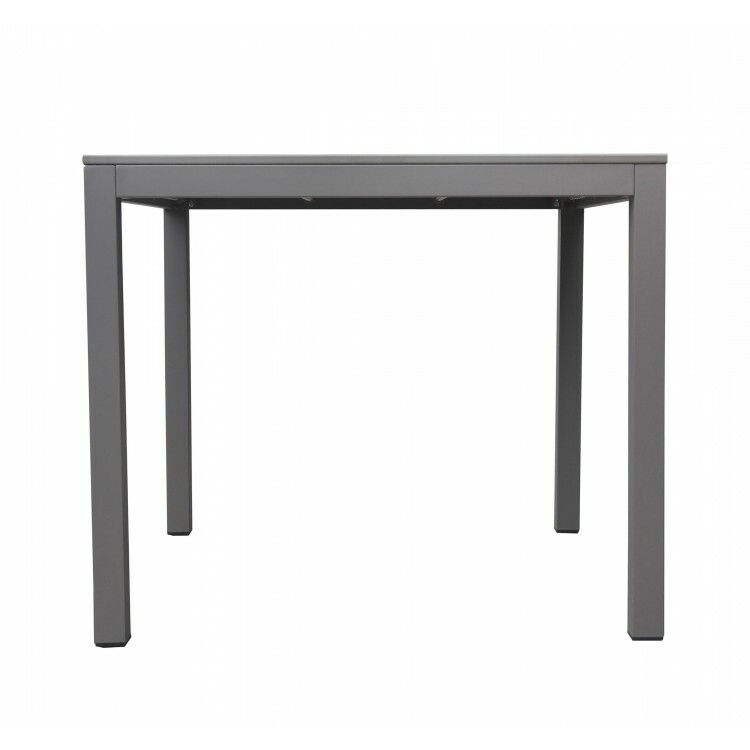 The Bistro is topped by grey wood panels that perfectly accentuate the table's sleek, contemporary look. 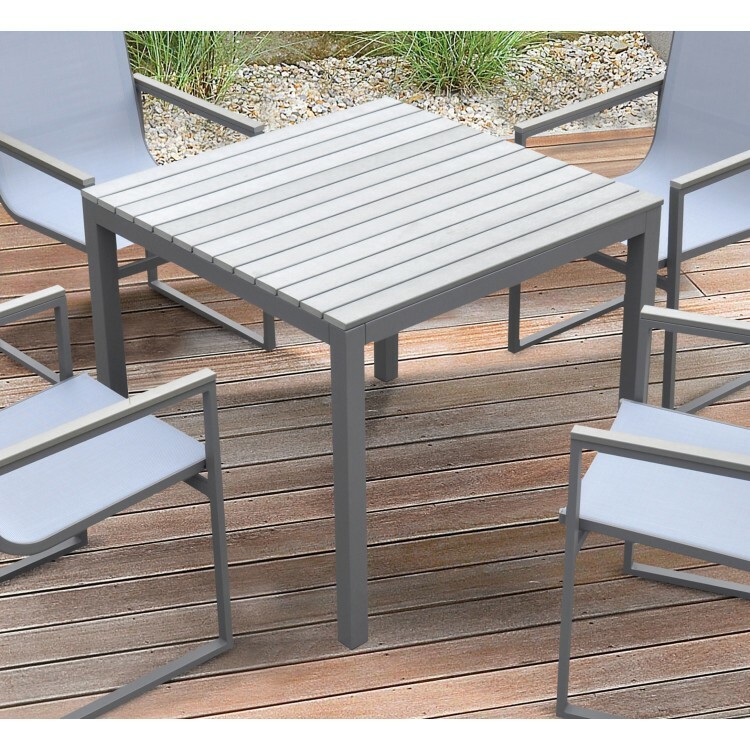 The Bistro outdoor table is ideal when paired with the Bistro patio dining chair. 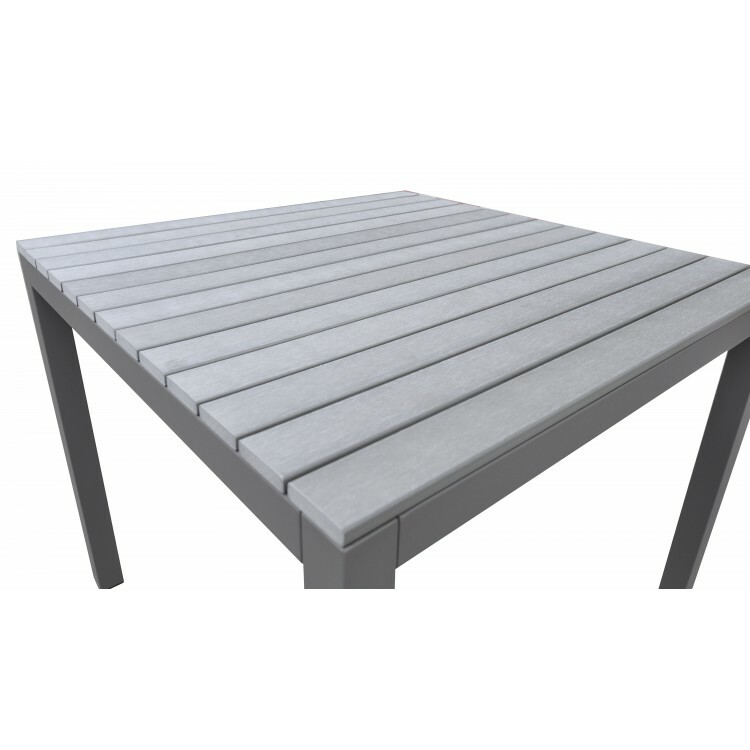 Available in grey powder coated finish.